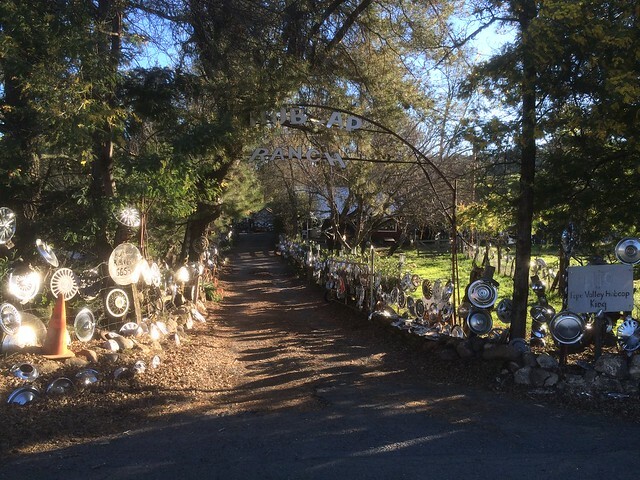 This landmark is located at 654 Pope Valley Road, 2.1 miles northwest of Pope Valley, California. There are 16 other California State Historical Landmarks in Napa County. The GPS coordinates for this location are N 38° 38.197 W 122° 27.189. 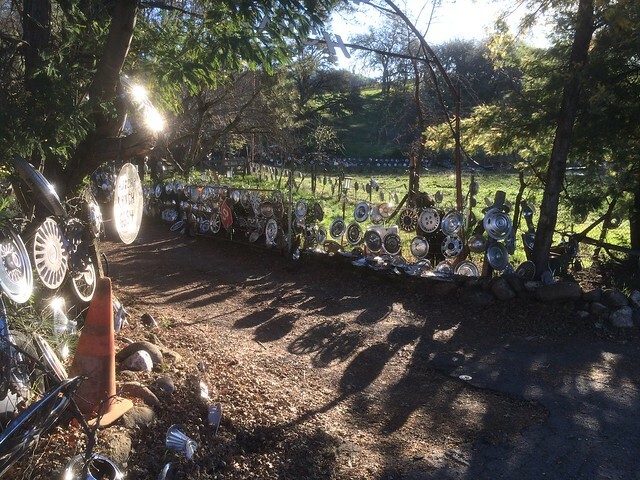 This is one of California's exceptional Twentieth Century Folk Art Environments. 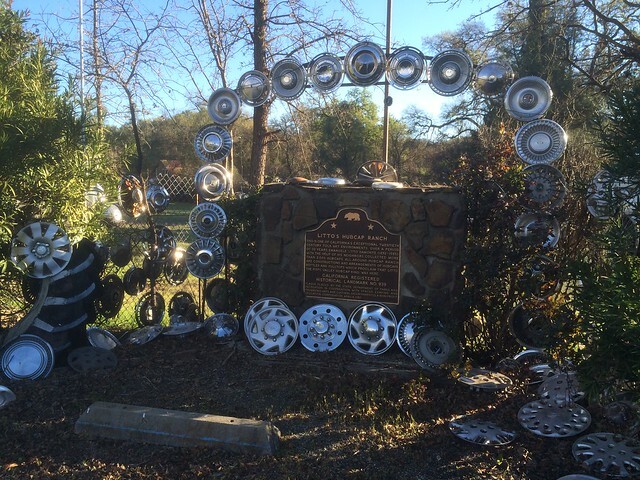 Over a period of 30 years, Emanuele 'Litto' Damonte (1896-1985), with the help of his neighbors, collected more than 2,000 hubcaps. 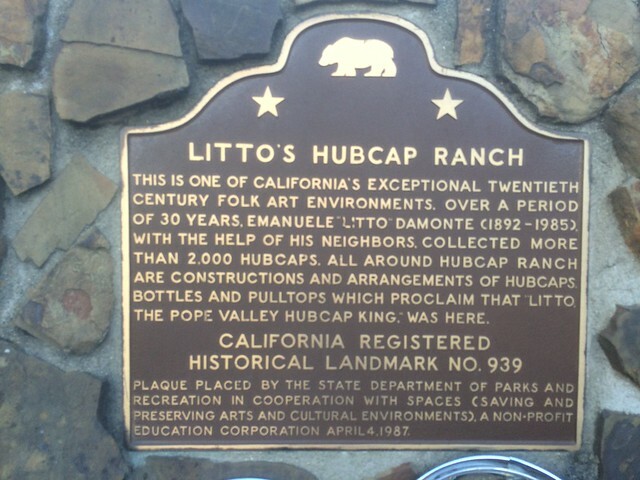 All around Hubcap Ranch are constructions and arrangements of hubcaps, bottles, and pulltops which proclaim that 'Litto, the Pope Valley Hubcap King,' was here.